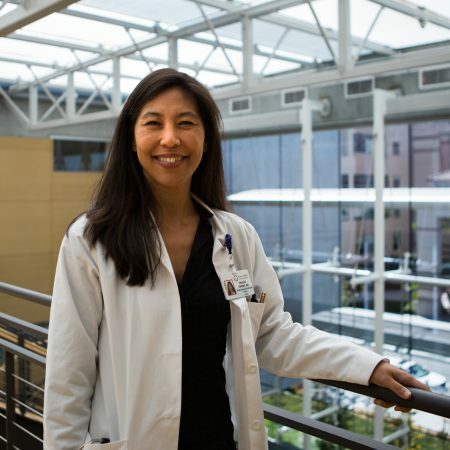 "I was treating a patient a little over a year ago who had a very early but aggressive type of cancer, HER2+,” says Dr. Maggie DiNome, an associate professor of surgery at the UCLA Breast Center Santa Monica. “While seeing me, she mentioned that her mother just passed away from breast cancer. So here she is, trying to go through treatment herself, and her mother had just passed away from breast cancer. Try to imagine what the mother was feeling, that her young daughter in her 40s just got diagnosed and the mother (had been living with) stage 4 disease for six years. It turns out it was a happy ending — the mother knew that her daughter was cancer-free and then she passed away one week later."